The ULTRAIDEAS Soft Gridding is our pick for the best slippers and is made with a warm and cozy plush outer construction. It has memory foam for best comfort and insulation as well. Our step-up pick is the Skechers Ice Angel and it has a cozy design as well, with a cable knit exterior and a rubber outsole. Its heel measures 3/4 of an inch with style. The budget pick is the World's Softest Cozy and this one is very cozy and breathable. Being made of polyester and acrylic for its material, its bottom helps you not to easily slip. Slippers are much simpler versions of sandals that people can wear. They are not limited to sleeping ones, but rather, there are many kinds out there, such as for beach use, for casual use and many others. Those who like to expose their bare feet skin but do not want to have to use your sandals, you can consider this as a good counterpart for it. The versatility of this item makes it much more preferred by many people over something that is not only costly but also very hard to maintain and keep due to the sensitivity of the material. Usually, they are much more cheaper than sandals or shoes because they have very minimal coverage and the materials that are frequently used in making them usually have less costs in obtaining them or on producing them. They have been used in years, as early as the 12th century, and have been around in other countries. Today, they are just as important as sandals and they can be used both indoors and outdoors depending on where they are built for. 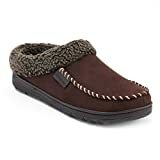 Furry slippers that are usually warm and cozy are mostly intended for indoor use while those that are rugged and resemble more like sandals are intended for outdoor use, such as the beach flip flops. Flip flops, which can also fall into the category, can also be of great use for most countries, especially those near the shoreline. Flip flops can either be classified as sandals or slippers, but in most tropical and eastern countries, they don’t always refer to indoor slippers, rather, they also apply to outdoor slippers like flip flops and those that resemble sandals. The cuts for this kind of item are all different from each other, depending on where they are intended to be used. For example, the usual type, the open heel type, is the most commonly used because of its breathability and good coverage. It is similar to a shoe but with open heels and open toes in design. They are far different from sandals because they do not have straps. Compared to formal slippers, some of these are regarded as the ones that are used for home and casual use. But for formal ones, they tend to be classified in the category of shoes or sometimes moccasins and the like. Doll shoes could also be sometimes classified into this category as well as various flip flops and beachwear for your feet. Size choice: the size can matter not just with the size of your feet but also the ones that will be used for the end part of your feet for you to wear it in a breeze without being too loose or too tight. The size should be just right depending on your age, feet size and your other factors. Different manufacturers all have different sizing charts so it is important that you order the right one. Style: different kinds of styles are available out there. The most common type is the open heel design, which is more like the indoor slipper or sandal. They can also be used for outdoor use, especially for women but also for men. There are also those that look like flip flops but still fall into the category that we said, which make them different and exceptional. There are also those that look like shoes but are still in this category. Indoor or outdoor: you need to consider whether your footwear is for indoor or outdoor use. Indoor ones are usually fluffy and may have fibers, wool, cotton and the like. These materials make them much more comfortable for indoor use and are not suitable for outdoor use due to the threat of getting dirty. For outdoor use, you will need something that is made of manmade material so that its durability will shield you from the elements for easy cleaning. Color choice: there could also be many color choices for you because all styles may also have variations on the color. It is important to choose the right color for your needs and especially true if you like to mix and match footwear with your other fashion items for a specific look. Different colors can go well with various kinds of situations so you can choose the appropriate color that you want. Gender: do remember that men’s and women’s footwear all differ from each other. Consider softer and slimmer designs for women and tougher and more solid designs for men. However, most of these footwear are of unisex so they can be given to and be used by any gender anyway. The best way for you to buy something for someone is to choose a unisex design, just to be safe. Breathability: consider one with loose sewing so that it will not compromise on breathability. However, it should still be durable enough in its material despite this breathability. Having a comfortable footwear for your needs can make it easier for you to get around not just indoors but also for the great outdoors, depending on where you intend to use it. Hypoallergenic material: because it is hypoallergenic, meaning it will not cause rashes to sensitive skin, it will not harm your skin in any way because it lacks all of those unnecessary and harsh chemicals that are found in most man-made materials. This is important for children and kids. As our top pick, the ULTRAIDEAS Soft Gridding is made with memory form for adding some warmth to your nights. It has a short plush material on the surface to make it very comfortable to wear in any time of the day. Since the ULTRAIDEAS Soft Gridding is for women, you should just look for another similar product or model that is meant for men. The Skechers Ice Angel is our step-up pick, which his pretty stylish and has a 3/4 inch heel at the back. It is made with a rubber outsole and an outer sweater made from cable knit. It has a comfortable and casual design. The World's Softest Cozy is our budget pick, which combines nylon, polyester and acrylic for its outer and inner materials. It has a non slip bottom and it has a sole that is foam padded for extra comfort. The RockDove Two-Tone is an ideal choice if you want something made of memory foam as well as part cotton and spandex for breathability and flexibility. It is for men and it has a comfort much like pillows due to its plush and cushioning design. 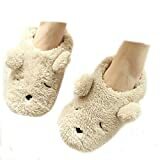 Made of fleece, the Fakeface Indoor is very comfortable and has a cute design of a bear for girls and those who like it. They are easy to wear and have a rubber outsole as well. They are great for the winter to keep your feet warm and cozy. For children who want a 3D character for their footwear indoors or while going to bed, the Jacques Moret 3D is a good choice due to its unicorn design. It also has many other designs for you to choose from, all in various colors. For those who want faux fur and cannot afford real fur, the Afranker Clpp'li is a good choice for you. It has a fluffy design and comes in various shades to choose from. It is made with suede for its body other than faux fur. For something that is made of knitted cotton, you can go for the ULTRAIDEAS Women's and its versatility when it comes down to cleaning. Its sole part is non slip for safety. For men, the Dearfoams Men's is a good choice. It is made with memory foam and has a pile lining. The design makes it ideal for both indoor and outdoor use and it is made with a microfiber upper. For women, we think the Luxehome Women's is the best. It is made with cotton and fleece to keep you comfortable while in the house. It has a rubber outsole and has 4 colors to choose from. There were others that did not make it to this list because they lacked a size chart and also did not have a lot of options when it comes down to color. They were also not very quick to restock their items. Q: What are the advantages of wearing slippers? 1. They are very convenient to use. One really important thing to know about the slipper is that it is very convenient and easy to slip on, hence the name. You just easily slip the footwear onto your feet and there is no need to strap it on like sandals or tie it up like shoes. The total convenience make them good for lazy people or those on the go. They are handy for quick errands. 2. They offer a good amount of protection. Because they still give your feet an ample amount of coverage, they can be great for protecting yourself from cold weather, the elements and from other factors that may damage your feet, such as sharp stuff on the road. Some of these footwear can be thick enough to cover your feet on the bottom part so as to prevent you from getting pricked by any harmful object lying on the ground. 3. They are very breathable. Because they do not have additional straps unlike sandals, and because they do not have an overall enclosed design unlike shoes, these footwear tend to be the most breathable of all – even more if you get one that is reminiscent of flip flops. The breathability of these footwear make them ideal for keeping your feet healthy and to get rid of potential foot odor that can ruin your day. 4. They tend to be cheaper than most footwear. Because they tend to cost less than sandals and shoes due to the lesser material needed to make them, it is a great way to save up on money as well as get more value for your money in the long run. For indoor and some outdoor uses, these footwear can be great because of their affordability so you don’t have to waste money on sandals. 5. They can also offer some fashion options. Most of these have cool designs to choose from, so you can mix and match them with your items of clothing, whether you want to use them for your indoor wear or for your outdoor wear. There are endless options and combinations waiting for you depending on the kind of style and color that you choose. 6. There are versions for indoors and outdoors. If you think that these footwear are only meant for indoor use, think again – they are also meant for outdoor use as footwear to keep you protected, much like shoes and sandals, usually for casual use. Indoor models are usually fluffy and thick in cotton or wool while outdoor ones are usually made from leather or synthetic material to stand up against bad weather. 7. They keep your cold nights warm. If you choose one that is meant for indoor use, a.k.a. 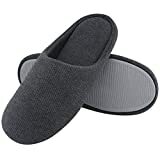 the traditional slipper, these ones can help insulate your feet other than with wearing socks at night. If you want to spend your nights warmer, you should start off on your feet. This is because these footwear can help shield your feet from the cold floor, especially if you have linoleum or tile flooring. 8. Women’s slippers may come with heels to add height. There are special kinds of footwear of this kind or category that use heels much like shoes. These are more than just a fashion item, but are also a great item to add to your height for adding some confidence to yourself. If you find shoes uncomfortable but you would like the same protection that these shoes offer then this is a good choice for you. 9. They’re really good for the summer season or for hot climates. If you want something that is meant for the beach or the summer weather but you may not want flip flops or similar beach wear, you can go for this kind of footwear. Certainly, sandals can be a bit too restrictive for summer wear on the beach, so these minimal footwear could be your new thing and your best bet for this kind of weather. 10. They are widely available. Other than shoes and sandals, these footwear are also easily and widely available in many stores worldwide. They can be bought at a cheaper price and could be seen on almost any store that you go into, usually in the lower end of the price range and product range. However, there are also durable ones with a higher price tag, if you want some footwear that can be used for a longer period of time. Q: How are slippers and sandals different from each other? The price of slippers can range from low to high, but you will most likely find ones that are very cheap. Sandals tend to be very pricey and almost like shoes at some point. However, they are usually cheaper than shoes. The durability of this kind of footwear may not be as good compared with sandals due to the less coverage. The sandals are usually built for wear and tear and this is why they are mostly used for backpacking, camping, trekking, outdoor adventures, formal wear and the like. 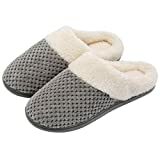 Their typical use include protection against cold when indoors, typically used as footwear for bedtime or for casual indoor use to warm your feet up. They are typically used for those times when you need something to protect you fro m the great outdoors but you can’t really wear shoes because they might feel uncomfortable. The materials for this kind of footwear include mostly plastics for outdoor use and wool or cotton for indoor use. They should be made of durable materials for outdoor use and fluffy and insulating materials for indoor use. Since they will be mostly outdoor footwear, sandals tend to be made from leather and some are made from leather alternatives such as faux leather or synthetic materials. Usually, most people think of this footwear as a single strap or layer of material over your feet, much like a sandal, but they also come in a plethora of designs to choose from, along with the color choices. There are also many variations when it comes down to the sandal, such as for partying as well as for hiking. They are usually different from each other in terms of design and durability. These are usually much more available in many stores worldwide due to their ease of manufacturing and lower price for materials used. They tend to be much more expensive so they tend to be in lesser shopping areas compared to those that are cheaper in price. The comfort level that this footwear is offering is usually very good because it gives you a lot of breathability and an open design for your feet to breathe properly all throughout the time that you are wearing them. Unlike the other footwear, sandals tend to be much more compressed in design so they are more like shoes but with slight breathability. Because of their straps, they tend to be more secure but restrictive at most. The defining qualities of this kind of footwear include its open design, comfortable materials and ease of slipping onto your feet. The defining qualities that make up sandals include its strapped design, its intricate looks and its slight breathability over shoes. Q: Which slippers are used for indoors and which ones are used for outdoors? Q: What are the different styles and variations for this kind of footwear? 1. Moccasin – leather material usually makes up this kind of variation but there are also variations that have synthetic material as well. They are usually combined nowadays so that they will be durable and easy to maintain at the same time, and will not be too expensive to purchase. These classic designs are still preferred by most women and men due to their ease of usage. They are also mostly used for social gatherings, parties and other semi-formal/formal needs. 2. Closed back design – the closed back design is one of the simpler designs that resembles a sandal due to the fact that it has a closed back or a strip on the back. It is meant for those who want something that looks like shoes but aren’t moccasins and want a lot of durability and ease of slipping on. They can also be used for some social gatherings due to their fashionable design and unique colors. 3. Novelty – the novelty design is usually made for those with a lot of coverage area for the front of the feet. They are mostly used indoors but some can also be used outdoors. There is no defining quality when it comes down to the novelty type, as there can be many variations depending on what design is available and what design or color that you like. 4. 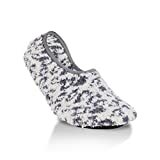 Slip on – the slip on is the most basic design in which the heels are exposed and the foot is covered with a single strap or cover material, in which the toes are also exposed. This is the most breathable type for this footwear and they are also easy to slip on – hence the name. they are commonly found indoors but some outdoor variations can also be seen out there in varying colors. 5. Sandal slipper – these variations are known to be a cross between the leather quality of sandals and these types of footwear, combining both comfort and style, as well as both breathability and durability, so therefore, they are mostly used for outdoor occasions. They also tend to come in a vast display of designs and colors to choose from, depending on the occasion you are going to use them for. Q: Why is leather considered the most versatile and preferred type of material for footwear? a. They tend to be the most durable compared to other organic materials. One of the few things to know about this kind of organic material is that its durability is beyond compare. Even when there are many kinds of synthetic replacements for it, nothing beats the classics – which is leather. If you are a traditional person and want something durable, you would most likely go for this kind of material due to its great durability and resilience. b. They are organic and they don’t contain harsh chemicals at most, when naturally and ethically obtained. If you want to go for something organic so that it will not look cheap then this is the way to go. Others complain that synthetic materials do not add to the fashion value of a get-up and s they choose to have brands that offer organic materials such as leather for outdoors and cotton or wool for indoors. c. They are also stylish in their own way because of their unique look and finish. The fact that they are stylish can also add to the value of your get-up, especially for fashion purposes. They are much different from synthetic alternatives as nothing can beat the realness of natural leather that is obtained sustainably from animals. Remember that not all leather is obtained in an inhumane way – you can check on the company’s policies with gathering them. Q: If I don’t like leather due to ethical reasons, what alternatives can you suggest? This is mostly a synthetic type of material that is used as an alternative to real leather. They are usually the cheapest option when it comes down to going vegan or cruelty free. a. They are a lot easier to clean than regular lather due to their design. a. They may not be as durable as real leather. b. They are most likely cruelty-free. b. The insulation factor and the breathability might not be the same as with real leather. c. They can be dyed, which is something that natural leather cannot do. c. They are not eco-friendly. Even if they are not cruelty-free, the cost is also pretty bad since you are leaking harsh chemicals into the environment, which can harm both humans and animals. d. Their durability is far better than most materials. d. The break in time for this kind of footwear material can be much longer than that of real leather. These are mostly made of vegan stuff and is quite similar to faux leather but much more breathable. It might include some plant based materials as well, but does not contain any animal byproduct. a. It is definitely cruelty-free due to its premise. a. The durability is also not that good compared to real leather. b. It can be very comfortable to wear overall. b. They are mostly intended for casual wear and rarely for formal wear or purposes. c. You probably won’t easily tell the difference between these footwear and real leather. c. Not every store around the world sells them, so they are still new to the market and rarely available for the masses. d. They tend to be resistant to stain and dirt from outdoors. d. We’re pretty sure they are more expensive than regular faux leather, so you need to prepare some budget if you really care about the animals and avoid leather altogether. These are made from, well, canvas material, which comes from plants. They are the cheapest option of the three, and they are a great option if you really just need a pair of good footwear. a. They are the best for the summer season. a. Versatility is not a thing with this kind of material because of its nature and design. b. They tend to be stylish as well. b. You basically cannot wear them in the winter. c. They are the winners when it comes down to superb breathability. c. They are also not meant for the rainy days. d. Cleaning them is quite a breeze, since they are made from canvas material. d. They risk getting dirtier much easier even if they are easy to clean. Q: What are the defining qualities of suede and canvas for footwear? a. Fashionable – the fact that suede is fashionable means that you can put it on for your meeting or seminar, or for a party with your boss or some other formal occasion. The fact that suede is much like leather in terms of luxury and style means that it’s okay to parade it around in such events when you don’t know what to wear for your feet. They are generally a very formal type of material for footwear. b. Edgy feel – the edgy feel is much like with leather and this makes them quite unique among other materials out there that are meant for footwear. The cool thing about suede is that it is mostly for men, but it doesn’t mean that women can’t use it. The edgy look is also backed by a strong and durable design that can last for years. This is why most people who cannot afford real leather go with suede instead. c. Slightly pricier – because they tend to be much more durable than other kinds of materials for shoes and similar footwear, they need to be in a higher price for a much more worthy material. They are usually found in malls alongside leather items so they can be a bit pricier than the rest. Not to worry, as their price tag is usually not that high compared to natural or real leather. d. Can be hard to clean – the fact that it can be hard to clean means that it is a bit similar to leather when it comes down to maintenance. You should be wary of this and take good care of your footwear in this case. If you want something that is easier to clean, you can go for faux materials instead of the actual suede or leather material. a. Best comfort – one of the best things to know about canvas is that it is made out of quality materials that allow your skin to breathe even if you are wearing shoes or some other protective footwear that do not offer the same breathability as sandals and other open designed footwear. The comfort levels that are offered by canvas are of top notch when comparing to leather or to suede, hence they are the best for hot weather. b. Ideal for the summer season – like we said, you will most likely have to use a canvas material footwear for the summer season or for going to the beach. This is because they are absolutely breathable and can be friendly towards the ocean breeze, unlike leather, which can get their disadvantage from such an occasion. If you want some footwear that is okay for the beach and for the summer season in general, we suggest canvas material for you. c. Perfect casual look – if you simply want a casual look and do not want something that is too formal or too stiff, you can go for a very soft and freestyle look with canvas material. From shoes to other items of clothing and fashion, canvas is a favorite for most people who prefer breathability over durability, but will not sacrifice durability as well. d. Super cheap – they tend to be very cheap in terms of pricing. This can either be a pro or a con depending on how you look at things. In either way, if you want something that costs less then this is a great option for you. e. Gets dirty easily – because of the very fact that it may tend to get dirty easily, it should not be worn in muddy rainy puddles and should only be reserved for sunny days. Q: How are synthetic and real leather different from each other? Q: What are the advantages and disadvantages of using memory foam in footwear? Q: What’s the difference between nubuck and full grain leather? A full grain leather type is usually the one that is legitimate when it comes down to construction. The usual thickness should be at least 1.4 mm but it does come in a variety of thicknesses as well. They tend to be waterproof as well as resistant to scratching and abrasions. They can also be breathable at some point when used properly and when you purchase a quality one. A nubuck type is usually the one that resembles suede more than real leather. Although it is still legitimate leather, it is a tad better than synthetic because you basically get a similar feel of flexibility as well as versatility with it. Much like suede and real leather, this kind of material is resistant to water and stains, but it is not as durable as pure leather that is of full grain. Q: Which is more suitable to wear for different occasions: shoes or slippers? Q: Are flip flops the same as slippers? A: Many countries in the world vary when it comes down to what to call this kind of footwear. For example, majority of the world think of them as those indoor footwear, such as those in the United States, Canada and in Europe, whereas some other countries can also use flip flops to call them slippers. In some countries, both of these footwear are the same thing, but slippers usually refer to something that has a flat cover, whereas flip flops, also called “thongs” in Australian English, refer to those with a rubber support that’s very thin. Q: What are the pros and cons of moccasins? Q: What are the good and bad sides of slippers at the office? Q: Is it possible to make this footwear from old jeans? A: Yes, all you need is an old pair of jeans, some creativity and sewing knowledge. If you have some basic knowledge when it comes down to manufacturing or making your own DIY footwear then you will have less of a trouble with this kind of project. Q: Why are these footwear very supportive? Q: Why are shoes not allowed in the house? A: This is because shoes come from the outside world, and they may harbor harsh chemicals, bad bacteria and tough viruses that could invade your family and household. It is important that you take off your shoes when getting into someone’s house to pay respect as well. Q: How do I keep my footwear from smelling bad? A: You can easily fix that by drying it much better than before, using sprays for your footwear or adding a dryer sheet to make the odor go away. You can also use other household staples like baking soda to remove the foul smell. Q: What’s a shower shoe and what’s the difference with slippers? A: Shower shoes are meant to be wet while slippers are mostly for indoor or casual use. Shower shoes are usually made to protect your feet from getting infection from public shower rooms, which is highly important if you’re in a resort or gym. Q: Why should I make handmade footwear? 1. You know you get quality materials. 2. You can customize it to whatever design you want. 3. You may be able to save more money in the long run. 4. You can choose to recycle old materials. 5. It give you a sense of artistic style and creativity. Overall, the ULTRAIDEAS Soft Gridding is our pick for the best slippers due to the cozy memory foam and plush feeling that you can feel when wearing it.